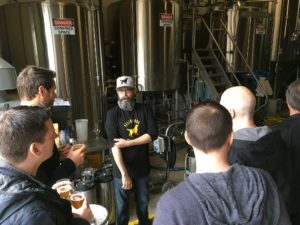 Here are some awesome places to go and things to do in Edmonton for your friend’s bachelor party! Gear up, grab a bow and shoot your buddy in the face with our foam-tipped arrows. We put on epic bachelor parties that no one will ever forget. We have a bunch of swords, axes and war hammers that you can use in a mock battle against your friends. The game works kind of like dodgeball but WAYYY more intense. You can even tie the guest of honour up to a pole and hit him with the firing squad or have him run the gauntlet and laugh as he gets pelted with arrows, foam bricks, beer bottles and axes. 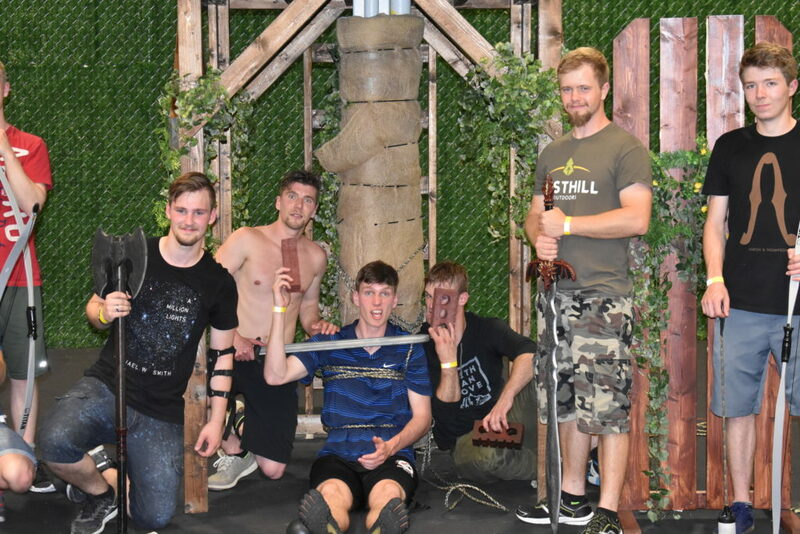 Host a stag at with us and prepare for combat! 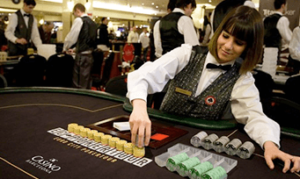 Most casinos in Edmonton will reserve a private poker table for your party if you call ahead. Get in touch with Casino Edmonton, Casino Yellowhead or the River Cree Resort & Casino and request a private table reservation. You will have a professional dealer, food and drink service and a relaxing, social environment for you to get in some poker action. This place is literally right across from us. I can see it across Sherwood Park freeway from the entrance. 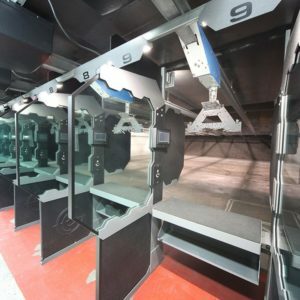 When you arrive at the gun range you get to select your firearm and do some target shooting in their range. Just make sure you are sober for this activity. 4. Bar crawl on Whyte Ave.
Ahh…the infamous Whyte Ave. Edmonton’s home of booze, billiards and hazy nights. A popular destination after people finish their combat archery game is MKT, they have a huge selection of beer and spirits in addition to a great atmosphere and menu. They are also the eastern point of the Whyte ave bar scene. As the night goes by you can make your way down to Hudson’s, Funky Buddha, Billiards clubs, Beercade, O’Byrne’s and other Whyte ave staples. Edmonton is home to a bunch of cool escape rooms. These real-life puzzles trap you in a room or series of rooms for an hour and your group must use your wits to escape. Most escape room companies have multiple rooms and can accommodate anywhere from a few guys to a huge crew of 10 or more. 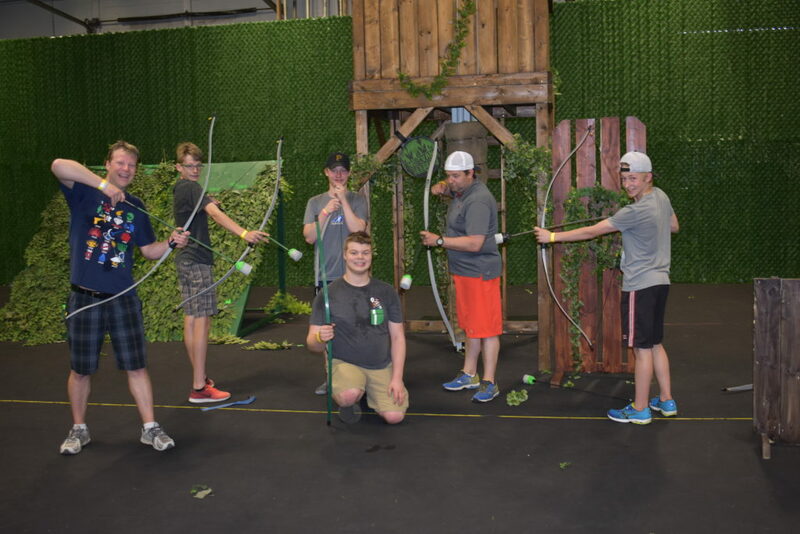 The closest escape room to Combat Archery Edmonton is the east side Breakout, which is just a short drive up 50th ave to the Capilano mall area. 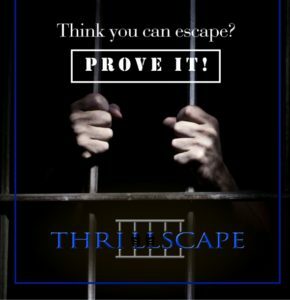 Our favourite escape room is over on the west side…Thrillscape has four rooms with a variety of themes and difficulty levels. Rent a private cabana, order a few drinks and have your own beach party right here in Edmonton. With a wave pool and a bunch of waterslides the indoor waterpark is a fun choice for stags. Book a group camping spot, bring some tents and rent a boat…awesome weekend guaranteed. For those who prefer a few more amenities, websites like AirBNB have made it easy and affordable to rent an awesome cabin for a weekend of fun. Grab some food, drinks, sports gear and firewood and have a multi-day bachelor party at the cabin. Just make sure you don’t run through a screen door like one of our unnamed employees did at his brother’s bachelor party, it’ll save you a few bucks. 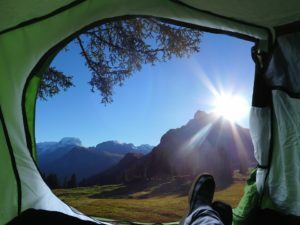 Some easy to reach camping sites near Edmonton are at Wabamun Lake and Elk Island National Park. 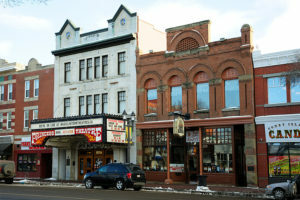 Edmonton is home to a few big comedy clubs and some big names do come through our town now and then. A lot of really funny up and coming comics do as well. 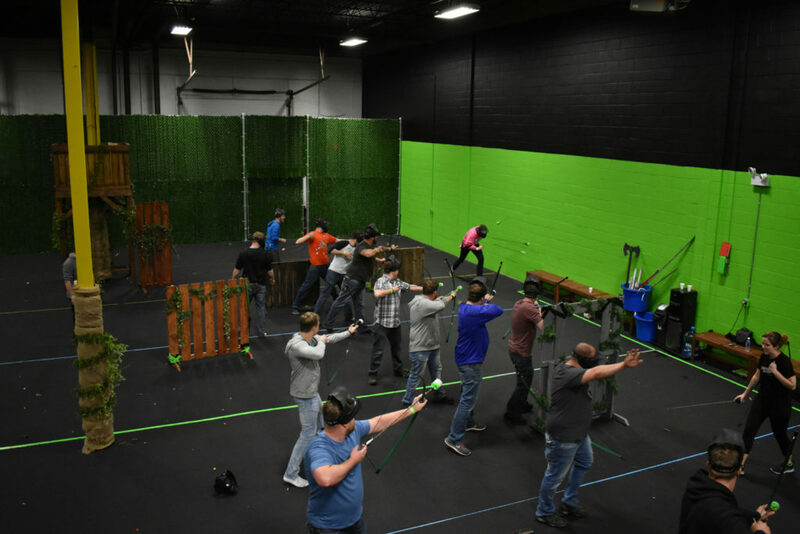 If you are looking for something entertaining but relaxing to do after your combat archery game just head on over to a comedy clubs and take in a show. The comics will usually even give the groom a bit of a ribbing if you ask for it. 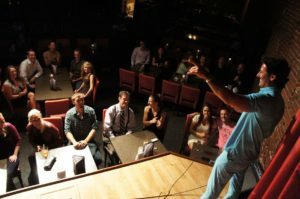 Popular comedy clubs in Edmonton are Yuk Yuk’s on the North side, The Comedy Factory on the South side and The Comic Strip at the West Edmonton Mall. Hit the links for an afternoon of Golf at one of Edmonton’s many golf courses such as the Victoria or Riverside Golf course. 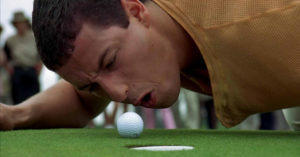 On a sunny summer day a game of golf with your friends can be the perfect event for the golf-loving groom.